Looking for something to do with the children at half term? Maybe we can help! 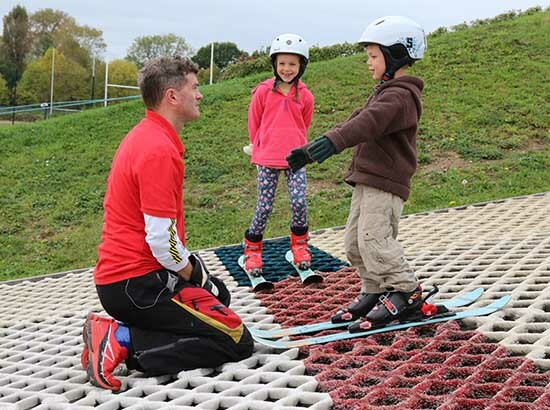 Junior Beginner’s Course – If your youngster is aged 9-15 years and has never skied before, they can have 4 hour’s tuition in a group for £55! It’s Monday – Thursday, 10 – 11. Private lessons – We have availability all week from 5 years upwards. Open Practice – If your instructor has given you one of our Open Practice passports, there’s an opportunity to come and play for an hour at 1.30 every day. Minimum age 8 years (6 if accompanied by a skiing adult with their own passport), and it’s £10 for adults, £8 for under 16’s. There will be a Public Session every day from 1.30 – 2.30, which costs £10 per person, minimum age 6. If you’d like to come at a different time please give us a call and we will see what we can do. All sessions must be booked in advance, please call 01483 504988 or email us for further details or to book.